Throughout history, most of the world’s leaders, philosophers, and inventors have been men. Yet many things we know and love today were actually created by women.Whether these items are fun or absolutely pivotal to our daily lives, inventions by women have contributed a lot to our way of living and helped to shape the course of human history. 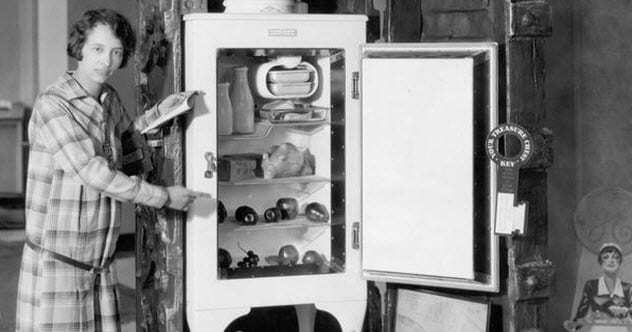 For ages before the advent of the refrigerator, iceboxes were the customary way to keep foods cold and fresh at the appropriate temperature and away from microscopic life that might taint the food and make us sick. Iceboxes were shelving units into which snow was packed during the winter months. This required the grueling task of repeatedly gathering ice to keep your food cold.But that all changed when Florence Parpart came onto the scene. Outside of some US government census data, we know little about Parpart. But we do have the patent records that show that she invented the refrigerator.